Erin Asher, freshman kinesiology major and Lancer guard, dribbles down the court. Ivan Patterson, senior business administration major and Lancer guard, scores against Azusa Pacific’s Cougars on Feb 7. 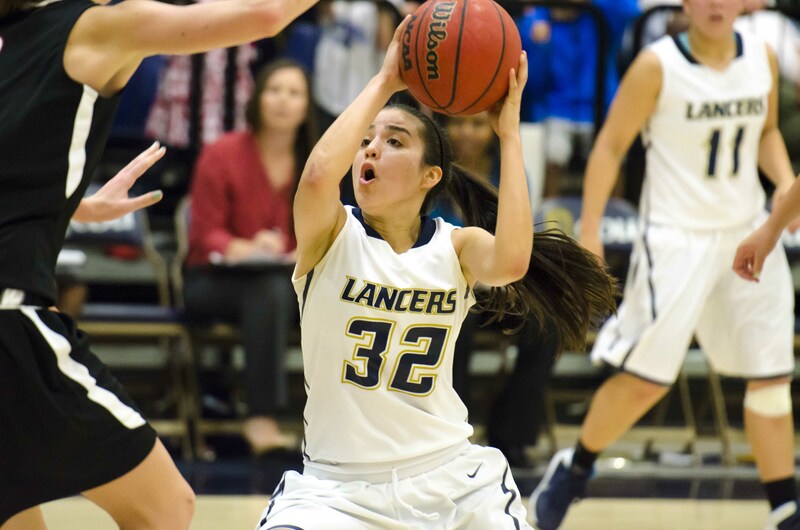 Chris Brown, junior sociology major and Lancer guard scored 10 points during the APU game. The Crazies section got rowdy during the Azusa Pacific University game, making sure the opposing team knows they were in Lancer nation. Chris Brown, junior psychology major goes up for a layup after making a fast break down the court.